There are elements of plumbing all over your home – predominantly in kitchens, bathrooms, laundry rooms, wash rooms and basements, but the pipes carrying water to each of these areas runs all through your home. Things go wrong with plumbing all the time; gaskets dry out, pipes freeze and break, porcelain cracks and drains become gummed up. Some of these jobs are small enough for the home owner to handle on their own, but some require a trained professional to be taken care of properly. Here are some of the more typical jobs that plumbers get called out to repair on a regular basis: Find Plumbers Near Me. Leaks, especially those in copper plumbing pipe can be a really difficult task for a homeowner to handle. Many leaks of this nature will require a portion or complete length of pipe to be replaced, this means working with a torch to loosen the joints before removing the damaged pipe, then working again with a torch to seal the joints once the new piece of pipe is in position. This practice can be dangerous for someone who has no experience, and it’s often difficult for the novice to make a complete seal at a copper joint – which will potentially result in a worse leak than was there before the work began. Porcelain sinks can be very difficult to handle, they are heavy and awkward to work with and most often require a plumber to install or replace. If a new sink is going in, a qualified plumber can insure that it will get installed properly, without getting damaged in the process. Porcelain, when not handled properly can get cracked or chipped resulting in a sink that is worthless. It’s not unheard of for a homeowner to be able to remove and old sink and install a new one, but the likelihood of him or her doing it with no damage to the sink and with no drips or leaks along the connections of from the trap is pretty rare. Getting it done right the first time is important with sinks and the only way you can ensure that will happen is by contracting a plumber. Replacing toilets can be a messy job – wax rings, sewer gas and people with no plumbing experience don’t usually mix. In order for a toilet to work properly all of the old wax ring must be removed and the new one must be perfectly in place – the toilet must then line up properly on top of the new ring. The bolts must be securely and evenly fastened and the toilet caulked to the floor. If you mess up any of these steps, the new wax ring may be ruined and you’ll have to make another trip to the hardware store and start over again for the beginning. Replacing a toilet is certainly a job best left for the plumber. Hot water heaters and hot water tanks are definitely a job for plumbers, they are big and heavy and difficult to install. If there was no hot water tank in place some installations require piping in a gas line, running duct work to the chimney and piping in new water lines. Damaged hot water tanks are often something that an emergency plumber will have to get called into handle due to the fact that they hold so much water, in addition to the water constantly running to them. 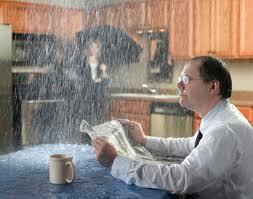 Any damage to or replacement of a hot water tank should be handled by a professional. If you got a small clog in a sink, tub or toilket then a chemical drain cleaning agent may temporarily due the trick, but for big clogs or total blockages a plumber could be a necessity. Plumbers have access to drain cleaning tools that homeowners do not – they have augers and snakes to break loose large blockages to get the water running freely again. Serious, drastic drain blockages may even require damaged sections of drain pipe to be replaced; this can be a very large and difficult job for even an experienced plumber and should never be attempted by someone with no experience. Drain cleaning, sewer line cleaning and plumbing in the USA. 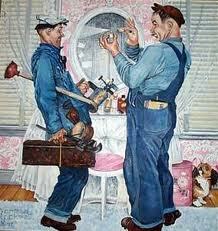 Licensed plumbing specialists offers emergency plumbing, drain repairs, toilet, sink and faucet repair or replacement. We will help you, 24/7!